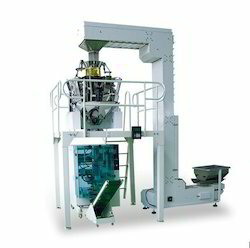 As an esteemed name in the relevant industry, we bring forth a distinguished assortment of Granules Packing Machine. By following industry defined guidelines, we manufacture the offered range utilizing of contemporary technology, modern tools, advanced equipment. Components used in manufacturing are best in quality and enhance performance of our offered range. Clients can avail the offered machine from us at market leading prices. Under precious guidance of our skilled professionals, we are offering a distinguished assortment of Banana Chips Packaging Machine. The offered range is broadly acknowledged in the market, owing to its quality assurance, resistant to corrosion and efficient functionality. This is manufactured using premium quality components and cutting edge technology. Moreover, clients can avail the offered range from us at market leading prices. 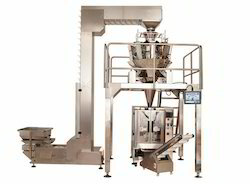 Manufacturer and exporters of variety of FFS Pneumatic packing Machine and seal machine, automatic packing machine, snacks packaging machine, powder packing machine, namkeen packing machine, semi automatic packaging machines. Application: Used Free Flowing Granules or Powder of uniform weight and size. Tablets, Snacks, Grains, Seeds, Panmasala, Tobacco, Jaljira, Cereals, Coffee Powder, Tea, Detergents, Pharmaceutical Powder, Namkeen, Henna, pepper, spices etc. 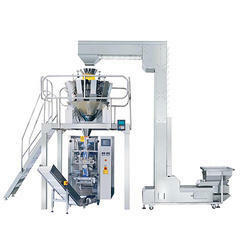 We are engaged in offering a comprehensive range of Granules Packing Machine. Our offered machines are widely used in food processing factory for granules packing and are highly demanded in the market. The offered machines are manufactured by our skilled professionals with utmost care and perfection making use of quality assured components. Clients can avail the offered machines in various specifications and at the leading-market prices. Symbolic to all the success that we have acquired in the industry, remains our status as the leading manufacturer and supplier of a wide range of Granules Packing Machine. Our offered machine is manufactured under the supervision of our professionals. For strictly adhering to the industry defined guidelines, the offered range is stringently tested by our quality analysts at every stage of production. Moreover, this machine is available at industry leading prices. 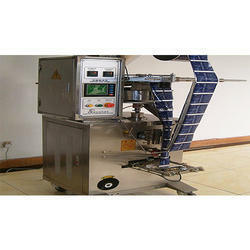 We are an acclaimed entity, engaged in offering a wide machine of High Speed Guthka Packing Machine. Being a quality-conscious organization, we assure our clients that these machines ensure hassle-free performance and long working life. Our adept professionals only utilize fine quality components, while manufacturing these machines. Moreover, our offered machines can be availed within the committed time-frame at pocket-friendly prices. 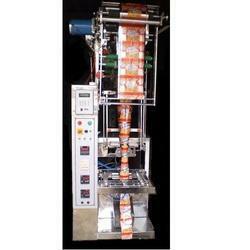 We are providing our esteemed clients with excellent quality Meethi Supari Packing Machine. The offered packing machine is manufactured using superior quality components and advanced technology in line with industry norms. Our provided packing machine is available in variegated designs and specifications as per the needs of our clients. 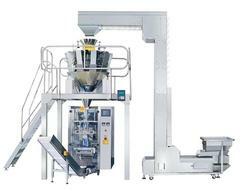 Furthermore, this packing machine is tested by quality controllers on varied parameters so as to ensure its quality. We have uniquely positioned ourselves as a dependable firm, engaged in manufacturing and supplying a commendable array of Vertical FFS Automatic Packaging Machine. These machines are manufactured using excellent quality components and latest technology by our skilled professionals. In order to ensure quality, these machines are stringently tested on various parameters by our experts. Apart from this, our valuable clients can easily buy these machines at rock-bottom prices. We have marked a distinct and dynamic position in the market by providing a high quality array of Vertical Form Fill Seal Packaging Machine. Our offered machine is availed in a variety of models and other such specifications to choose from. The machine offered by us is precisely designed at our highly advanced manufacturing unit following industry defined guidelines. The offered machine can also be availed from us at pocket-friendly prices. We are the manufacturer and exporter of Weigh System Packing Machine. Our offered machine is manufactured using utmost-grade components and cutting-edge technology in compliance with defined quality standards. 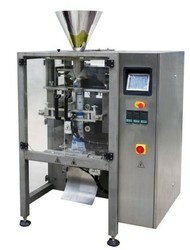 The offered machine is extensively used in various industries for packaging. Keeping in mind the diverse requirements of our clients, we provide this machine in various models and other related specifications at affordable prices. 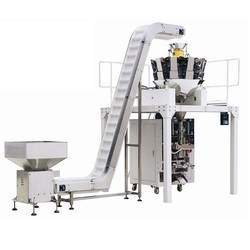 Based on the skills of our dexterous workforce, we are offering an interesting array of Snacks Packing Machine. Manufactured from quality-proven components, the offered range is widely appreciated by our clients. Moreover, our team of our professionals examines the offered machine on numerous parameters so as to ensure its flawlessness. This exclusive range can also be available in various specifications as per diverse requirements of our clients.